If you have yet to start using video as a marketing tool, then it’s time for you to get caught up. It’s possible that many of your competitors have already been integrating video into their marketing mix for some time now, so you need to make sure that you do what you can to have video play a bigger role in your online marketing strategy. How do you go about doing this? 1. Make a video promoting other content you’ve created - Have you created any piece of content that is really useful and has considerable value? It’s the kind of content that you can offer your audience in exchange for their contact information. To promote this content, which will potentially improve your email list, make an engaging and informative video. While your goal is to promote, don’t just take a video of yourself giving a dry description of your content and then imploring your viewers to download it. Make your video entertaining and witty. 2. Live stream videos -This trend is gaining momentum as more and more people discover Periscope and Meerkat, and Social Media Platforms start live streaming options. These platforms allow live broadcasts of videos to anyone online. You can do pretty much anything in your livestreamed videos, but for businesses, live discussions of topics related to their industry are always a good idea. Audiences love the candidness and transparency of livestreaming, which often results in boosted credibility and trust. 3. Spin off videos into other types of content -Sourcing material for other content from videos is a clever way to extract more value from them as well as produce more content. For instance, you can use information gleaned from an interview video you’ve done to create a purely audio version, a transcription, an article, a slideshare, various social media posts, a chapter in an e-book, etc. 4. Take advantage of various video-sharing platforms - YouTube still rules, but Facebook is clear on its intent to give the former a run for its money. Explore other programs and apps as well. Giphy lets you create fun little gifs. Instagram’s Boomerang and DSCO allow you to create seconds-long bursts of photos that effectively become silent videos. Flipagram is a more involved version that’s longer and allows audio. This is great for emotional or explainer videos. You can show off your services or products, highlight recent events, etc. It’s important that you tap into the potential of video marketing. To fail to do so is to sit yourself on the side lines and watch others enjoy the game and eventually succeed in it. If you want to make your marketing mix as comprehensive and effective as possible, you won’t leave out video. So once we’ve convinced you that video is the future, and you need to include it in your marketing mix, I want to talk good quality videos! You can use kit as every-day as a smart phone or device that has recording capabilities, and get decent footage and clips out of, you don’t have to spend thousands of £s or €s or $s to get started with something simple. I was very lucky to have been asked to write for a book about Digital Storytelling, and the focus of that is rather than it being a broadcast-ready production, it’s something of good quality that is more focused on the story you’re trying to tell. When people get engrossed in the story, they focus less on the production values, however, here are a few tips I share with you to think about in your productions, to make them as amazing as possible! 1. No wobbly shots – One thing that shouts “amateur” more than anything is a shot that is wonky, moving all over the place or blurry when it’s not supposed to be. So, either buy a tripod or holder for your camera/device, or where possible try to sit the device on something flat rather than holding it. If you can’t get away from just holding he device, keep it close into your body and support your “shooting hand” with the other if you can to stable yourself. The more stable your body is, the less the camera will shake – and it’ll look more professional and less distracting. 2. Give them some room – A “head and shoulder shot” is the most common one to use when interviewing people, and it does what it say on the tin really. 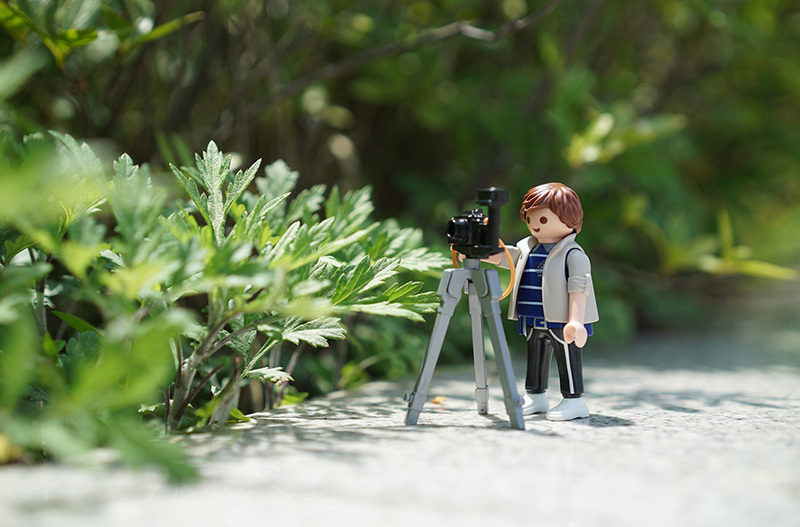 But, remember that your character can move and may want to look around and move their head, so when your setting up your shot “framing up” make sure you leave enough “head room” at the top and some “looking room” on the sides too - not everyone's as static as Barbie. If you can get them to talk naturally to you while your framing up, you’ll be able to see this in action. Then be ready to move the camera quick-sharp if they decide to go off screen! 3. We’re listening – If you’re recording something on video, make sure you can hear the audio too. If you don’t have the resources for an external microphone, stop for a minute and actually listen to your surroundings, is it really noisy? Is there a quieter place you can move to? If you get the device or camera as close into the feature you want to record as possible, you’re keeping the quality of the audio as clear as possible too. Then, if something happens during a recording or “take” if possible, try to re-record it again – it’s always the case that when you hit record someone drives past in a noisy car, or someone decides to come over and ask you what you’re doing. If you follow our suggestions of how to include video into your marketing mix, and keep the quality as good as possible, you’ll see many more people engaging with you online. As over 3 billion hours of video are watched online every month, it’s definitely worth giving video a go!